Celebrities have always been in boom for their amazing engagement rings. Bollywood actresses are the fashionista for their fans. People who are planning their engagement mostly go with engagement rings inspired by Bollywood divas as these are the most high on demand and latest accessory in trend. Whatever the celebs wear it becomes fashion and people started imitating them. Even in the news we always keep our eyes on these bollywood celebs hands to know if they got engaged and what designer ring they are wearing. Every celebrity has her own type of wearing rings some of them wear traditional style ring, some go with diamonds and some keep it with simple gold ring. Now here is the top bollywood divas flashing their engagement rings. These celebrities are caught by the media with their beautiful rings on different occasions. 1. 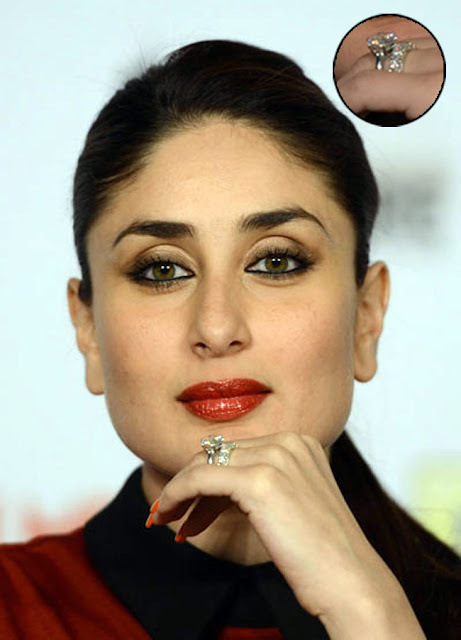 Kareena Kapoor Khan: Saif Ali khan loved his begum so much that he gifted her the whole diamond showroom. On engagement he gave the rock size weighing 13 carat diamond ring to her. 2. 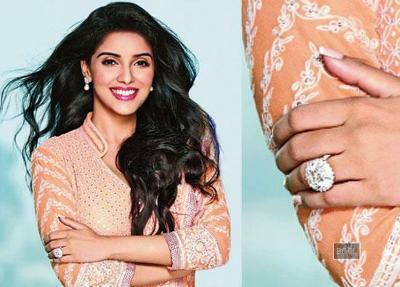 Asin: Recently got married with Micromax Co-Founder Rahul Sharma who proposed Asin with 20 carat solitaire of Rs. 6 Crore. 3. Aishwarya Rai Bachchan: The well-known celebrity and former Miss. World got engaged with Abhishek Bachchan 8 years back was proposed by Abhishek Bachchan with beautiful diamond ring of Rs. 50 lakhs. 4. Shilpa Shetty: Shilpa Shetty proudly showed her ring in front of the media when she got engaged with Raj Kundra in 2009. Her diamond ring was around 20 carats and worth of Rs. 3 Crore. 5. Vidya Balan: She is one of the most traditional aura actress of bollywood. After her engagement she was spotted with the simple gold ring with ruby stone on it. Her engagement ring was pretty simple from the other celebrities of bollywood. 6. Genelia D’Souza: She got engaged with Riteish Deshmukh in the year 2012 and was noticed with a huge solitaire on her hand gifted by her husband. 7. 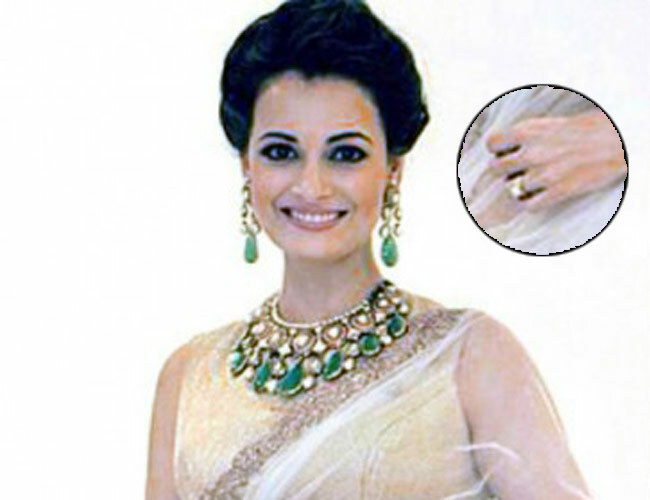 Diya Mirza: Diya Mirza got married to business partner Sahil Sangha and got captured with beautiful diamond ring on her finger after her engagement.